In the first part of this blog post, we presented some of the more technical and instructional books in Dolphin Dance's library. This second part deals with cruising narratives and inspirational books, that we like to have on board. In the summer of 1914, Imperial Trans-Antarctic Expedition led by Sir Ernest Shackleton set sail from London towards Southern Ocean. Their plan was to sail first to the Antarctic and then cross the cold continent overland from west to east. However, the journey failed already before Shackleton had reached the Antarctic, since their ship 'Endurance' got stuck in the ice and Shackleton and his crew of twenty seven men, spent over a year drifting with the ice. Eventually, their ship — despite of her name — was crushed by the ice masses, and the expedition spent further five months hunting seals and surviving on the ice packs, before they could launch their smaller life vessels, and set sail again. After they had reached a whaling station on uninhabited Elephant Island, Shackleton took five men and set off aboard life vessel James Caird towards South Georgia, some 700 nautical miles northeast, while rest of the crew was left waiting on the island. A frenchman Bernard Moitessier took part in the Sunday Times Golden Globe competition held in 1968-1969. Prior to that, no one had ever sailed around the globe single-handed and non-stop. The Golden Globe trophy would be offered to the first person, who managed to do this voyage unassisted. Contrary to todays sailing competitions, the sailors could choose the time when they wanted to start their voyage from England. Thus, for the late starters there was a catch: the fastest circumnavigator would win the £5000 prize. Of the nine sailors, who participated in the race, Robin Knox-Johnston was the only one to actually finish it. Four sailors had to give up already before leaving the Atlantic ocean. However, Bernard Moitessier was among the fastest sailors in the race and managed to sail past the three great capes. Having rounded the notorious Cape Horn, he had good chances of winning the prize for the fastest circumnavigator. He was already in the South Atlantic heading back to the finish line in England, but then suddenly he decided to forfeit the race and alter his course towards the Cape of Good Hope and Indian Ocean. After having been six months alone at the sea, he did not want to return to the modern world, so he actually kept on sailing, beyond the Cape of Good Hope, across the Indian Ocean all the way to the Pacific, before stopping at Tahiti after ten months at the sea. He had sailed one and half times round the globe non-stop! He may have not win the prize for the fastest circumnavigator, but this strange decision made Bernard Moitissier one of the biggest and most mysterious sailing legends of all time. The Long Way is a diary about Moitessier's journey in the race, which clearly for him, was a spiritual one and more about searching himself and being one with the nature, than winning fame and glory. Moitissier writes beautifully about sailing and about the freedom one can experience at the sea. 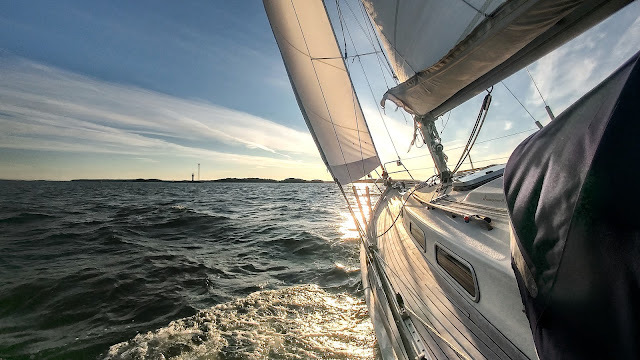 "The sheet winches creak, the water murmurs on the bottom as Joshua gathers way and begings to come alive... People who do not know that a sailboat is a living creature will never understand anything about boats and the sea." 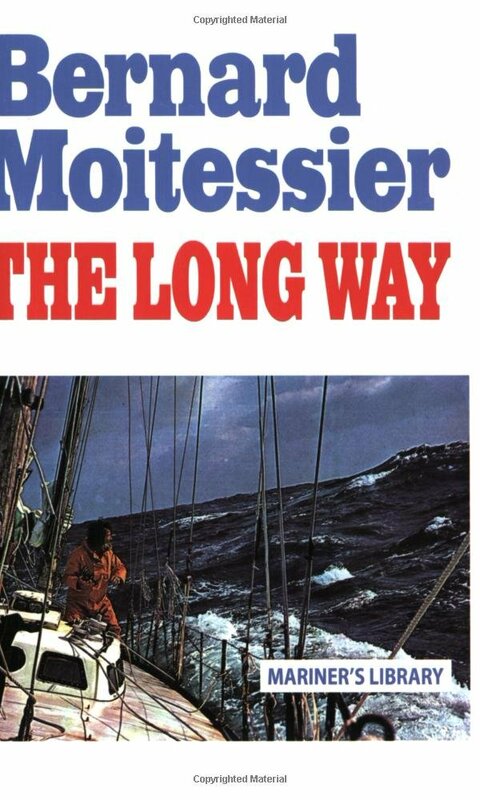 Even though I find Motiessier's story most fascinating, the book is not perhaps among the most compelling sailing books that I have read. I agree with some of the reviews, that the book gets less interesting as it proceeds. For example, one would also expect the book to give a better explanation on Moitessier's decision to keep on sailing, although reunion with his wife and children was just a few weeks away. Besides, writing about daily events at the sea, Moitessier writes about his thoughts on the nature and criticism that he feels towards the modern world, or the machine as he calls it. But the book does not give simple answers to the question above. 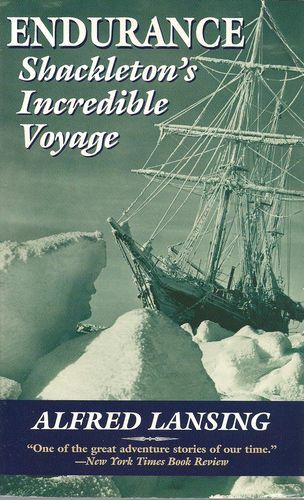 I think that Leon Schulz's book is a great example, that you do not always have to sail to Antarctic or round the world one and half times non-stop to get an inspiring story. 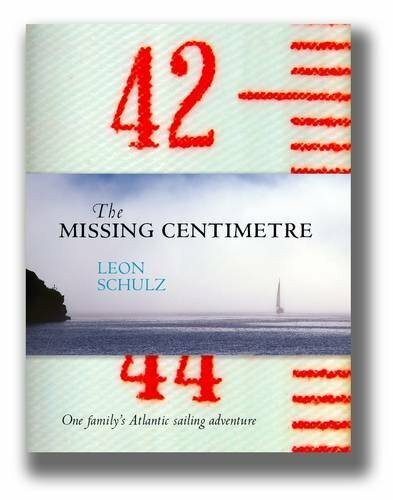 According to the book's back cover, The Missing Centimetre... is a story of an ordinary family, with ordinary sailing experience and a common dream, who, together, achieve something extraordinary." The Schulz family decided to take a sabbatical year and do a north Atlantic circuit from Sweden to Caribbean and back. Although only a small proportion of sailors actually cross the Atlantic during their sailing career, the Caribbean tour is a common dream shared by many. The Missing Centimetre is a must-read for someone planning to do long-distance cruising with children. However, it is not just a book for family cruisers; Schulz writes honestly about various aspects affecting the life of a cruising sailor, and does not forget the bad parts. For example, Schulz discusses the difficulty of making the initial decision of leaving the safe shore life behind, and the difficulty of adapting to the ordinary life, after the journey is over. I think that these are interesting topics for all cruising sailors. The that way Schulz writes about the beautiful parts of the cruising sailing life style is very inspiring — therefore, reading the book comes with a risk of getting a bit too inspired. Unfortunately, the last (but not the least) two books are only available in Finnish. The first of these is a cooking book for sailors called Merikokin messissä written by Anne & Steffi Sjöholm and Pirjo & Jussi Haikala. When I (Minna) started sailing, I found this book very helpful. The book namely presents both useful information and tips for cooking good food onboard. The book has separate chapters about what kind of food one could pack for a sailing trip and how one should always be prepared in time to be able to cook onboard. The book is written by experienced cruising sailors who understand the limitations of cooking in the boat's small moving galley. There is a variety of dishes which can be easily prepared when sailing but there are also recipes suitable for dinner moments on a sheltered anchorage. And what we like about the recipes of this book is that they take into account what kind of ingredients are (and are not) freshly available on the islands and small villages by the sea. This book also represents the attitude that we also have about sailing and food: the food should be good and healthy, since it keeps everyone happy, content and smiling! Seikkailun Suolainen Maku is a story about a young Finnish skipper Kari Nurmi, sailing with a small boat "Ruffe" across the Atlantic ocean. This book was published a couple of years ago, but the three journeys, described in the book, took place actually in the early 90's. The book starts off with the chapter "The Dream", in which Nurmi writes about his passion for the sea and sail boats. 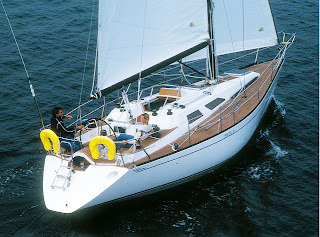 At the age of twenty he bought his first keelboat, a brand new Bavaria 300. During the first complete season, Nurmi sailed with a friend to Kiel and back. In the second season, Ruffe sailed already out of the Baltic Sea region: an amazing journey took the young crew to Ireland, Faroe Islands, Shetland Islands and Norway. However, the skipper's hunger to explore more was not fulfilled yet, since the plans for the third season were placed even higher: Nurmi and his crew would participate in the America 500 Columbus anniversary race from Portugal (via Canaries) to Bahamas. In general, inspiring sailing books, such as Seikkailun Suolainen Maku or The Missing Centimetre, offer a great escape during the long winter. Furthermore, both of these books also cover some familiar places in the Baltics, Denmark and Norway, which made the reading even more interesting — also during the season, while visiting some of these places. Even if sailing to Caribbean with own boat is currently beyond our scope, both of these books deal with subjects and feelings, that many cruising sailors can identify with. thank you that you liked my book and lifted it alongside with the other great sailing books. I really enjoy your blog. Keep on rocking and fair winds for the upcoming sailing season. Thanks for your great book, which has been a source of inspiration for me for many years. Fair winds for the season 2013! Hi Antti & Minna – thank you again for these two blogs; it is always interesting to see what other people have in their bookshelf. As I think you know, we are ‘between boats’ at the moment, so we do not have a ‘boat library’ as such – but that won’t stop me commenting anyway! The pressure cooker is a great piece of boat kit as it saves on fuel, cooks quickly and intensifies flavours. Italian dishes are perfect for it. A good modern one (Veronica has a couple of Fisslers) puts out very little steam – also good for being on board. We also carry Seglarens Kokbok published by Wahlström & Widstrand and, for Sweden, Gästhamns Guiden published by Svenska Kryssarklubben. There would also be my books of knots, flags and Naval Slang – the latter being an amusing guide to hundreds of naval expressions and what they mean. In UK waters, including the entire Western European coast (Denmark to Gibraltar) we have Reeds Nautical Almanac which is indispensable although not infallible. I also sometimes carry what in English are called ‘pilots’ which are written guide books for an area like ‘The Balearics’ for example. These are quite good for background information – weather trends, cruising formalities, aerial photographs of harbours and the like – but not brilliant for up-to-date information, and therefore not to be relied upon. We have never done a long distance voyage, so haven’t thought about what we would take for that sort of journey but I expect that there would be a lot of books on the Kindle and of course sight reduction tables & Nautical Almanac. Another two books would be those you mention by Nigel Calder. There is however one small dog-eared paperback that follows me around called Sod’s Law of the Sea. This is a very funny, (very English humour) book about sailing written by someone with immense experience who recounts things as they really are, rather than how they should be. It is the book which probably taught me the most important lessons about seamanship: double-check everything; keep a healthy degree of scepticism and cultivate lateral thinking. So there we are! Without too much analysis, those are the sort of books that we would have. Hi Rich and Veronica, and thanks for the interesting comment! I agree that Sejlerens guides and the Svenska Gästhamnsguiden are great harbour guides, given that they are free. We don't actually have any pilot for Denmark, but bought the Arholma-Landsort guide last season, which was a great investment, since it really opened a different world in the Stockholm Archipelago. Pressure cooking sounds like an interesting idea! We have not actually thought about using one in the boat, but we got to look into this possibility more closely. Especially, as we both like la Cucina Italiana very much! Great food, and easy to prepare in the boat environment. Book of Naval Slang would also be great addition in our the library - especially as writing blog posts is sometimes a bit difficult, when I try to use proper terms. And some of those are, as you mentioned earlier, quite strange. However, discussing with a native speaker is also a great way to learn new terminology!